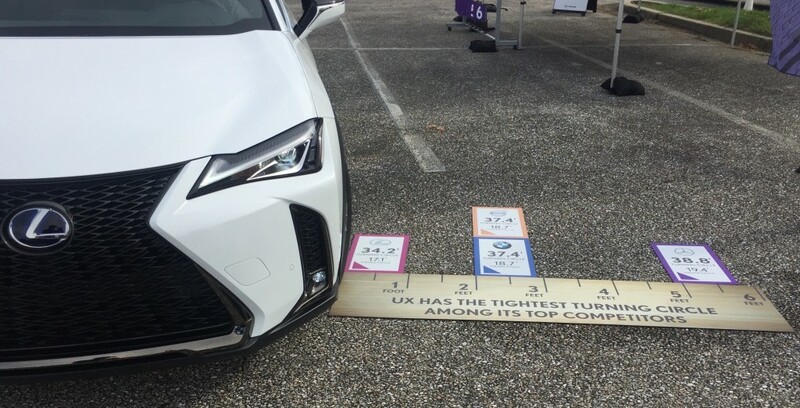 2019 Lexus UX Training Sessions! 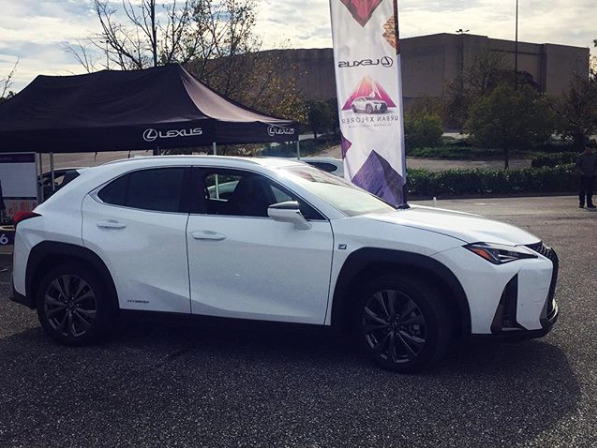 Lexus of Richmond’s sales consultants, technology specialists, service advisors, technicians and managers all recently completed training sessions for the launch of the Brand New vehicle, the Lexus UX! This training session took place over the course of two weeks at the Toyota Training Center in Maryland. This training included a classroom discussion/question & answer, hands on demonstration of new technology, and comparative driving courses. We were able to drive three competitors’ vehicles in order to understand the UX’s target market. We drove through the city in each vehicle, and then drove through a course set up with extremely tight turns and corners to truly understand how our new vehicle stacks up with the competitors. The easiest to maneuver was of course the UX with its 34.2 foot turning radius. The technology demonstration was focused on Apple CarPlay and Amazon Alexa. 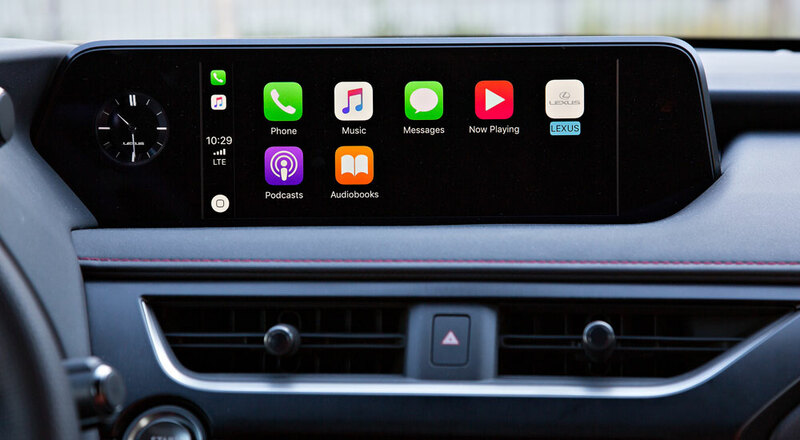 Apple CarPlay is a smarter and safer way to use your phone while driving. The car’s display mirrors your phone screen. By connecting your iPhone, you gain access to your navigation, phonebook to make/receive calls and texts, and all your music. With Amazon Alexa you are essentially gaining an assistant at your fingertips in the vehicle with you. You can ask Alexa to play music, find directions, find traffic info or check the weather. You can even ask her to tell you a joke or to play jeopardy. Call us at 804.323.8000 or stop by and learn about this vehicle and all it has to offer! Lexus of Richmond associates recently traveled to the Toyota Training Center in Maryland for training sessions on the All New 2019 Lexus ES! Over the course of two weeks; sales associates, technology specialists, service advisors, technicians, managers and more attended different sessions to learn about this entirely redesigned vehicle. This training included a classroom setting for open discussion, hands-on demonstration of new technology and features including Apple CarPlay and Amazon Alexa, and driving courses. The Golden Opportunity Sales Event is underway here at Lexus of Richmond. Make sure to come in for some of the best finance and lease deals of the year on our most popular models! You will want to take advantage of these exclusive offers! The Golden Opportunity Sales Event runs now through Tuesday, September 4, 2018. Call us at 804.323.8000 or stop by 9703 Midlothian Turnpike, Richmond, VA 23235. 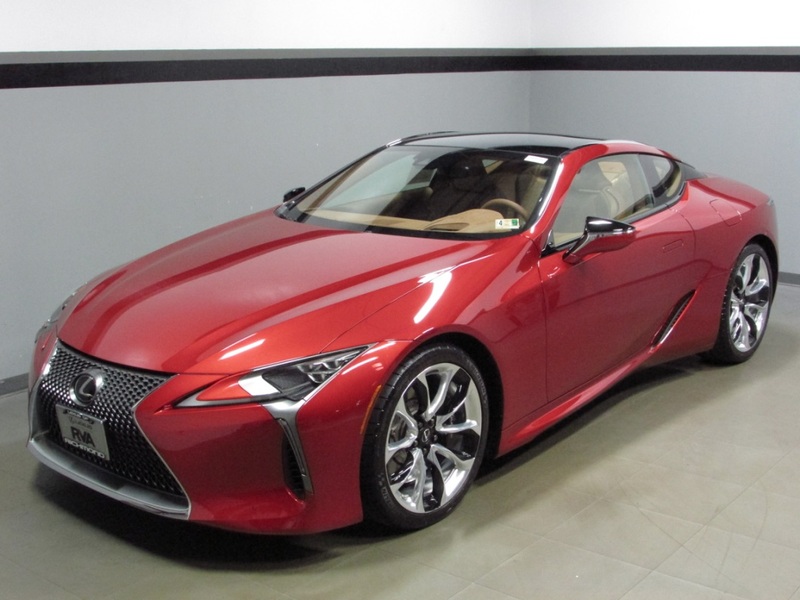 Lexus of Richmond’s Pre Owned Vehicle of the Week is this 2018 Lexus LC 500. An absolute showstopper! This Infrared beauty with under 5,000 miles is all you have ever wanted in a luxury sports car. It is equipped with a 5.0L V-8 CYL 10 Speed Automatic Transmission. You will love the interior features including the Navigation System, Bluetooth and the Mark Levinson Premium Surround Sound with 13 Speakers. The vehicle’s safety features includes an Emergency Communication System. Other great safety equipment includes a Blind Spot Monitor, Back-Up Camera, Lane Departure Alert, Dynamic Radar Cruise Control as well as Front and Rear Clearance Sonar. Convenience features on the vehicle include, but are not limited to: a heated steering wheel, heated and ventilated seats, heated door mirrors, tilt and telescoping steering wheel, and rain sensing wipers. Call or email our Internet Sales Team today (804.323.8000) for more details. Sales prices are subject to change so we recommend confirmation by phone. Lexus of Richmond’s Pre Owned Vehicle of the Week is this 2014 Lexus IS 350 C.
What a stunner! 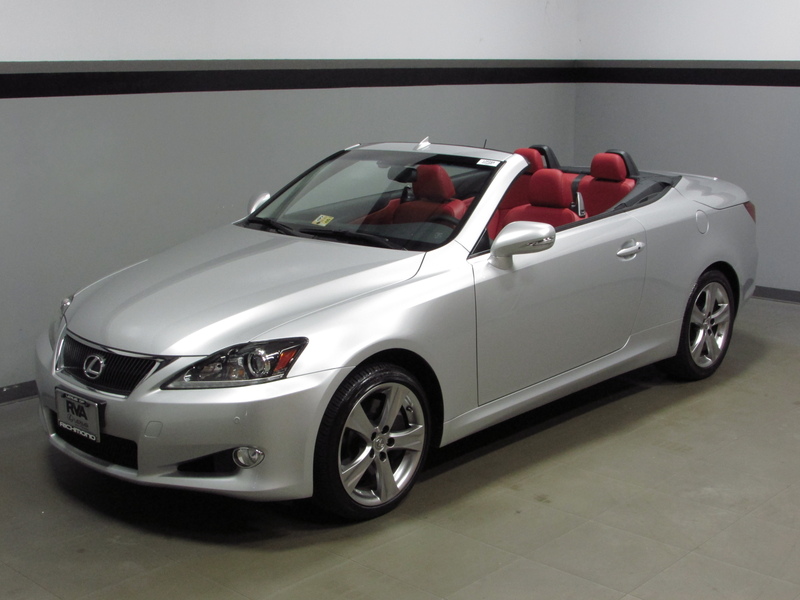 You will love driving your silver lining convertible beauty with it’s striking red interior. With just over 3,700 miles, it still feels like new! Equipped with a 3.5 liter V-6 engine and 306 horsepower. From the Dark Gray Bird’s Eye Maple Interior Trim and the perforated semi-aniline leather seats with heating and ventilating abilities, no stone was left unturned in the design. Convenience features include: bluetooth, tilt and telescopic steering wheel, navigation system, backup camera and rain sensing wipers. Other great features include: Lexus Premium audio system, heated side mirrors and intuitive parking assist. 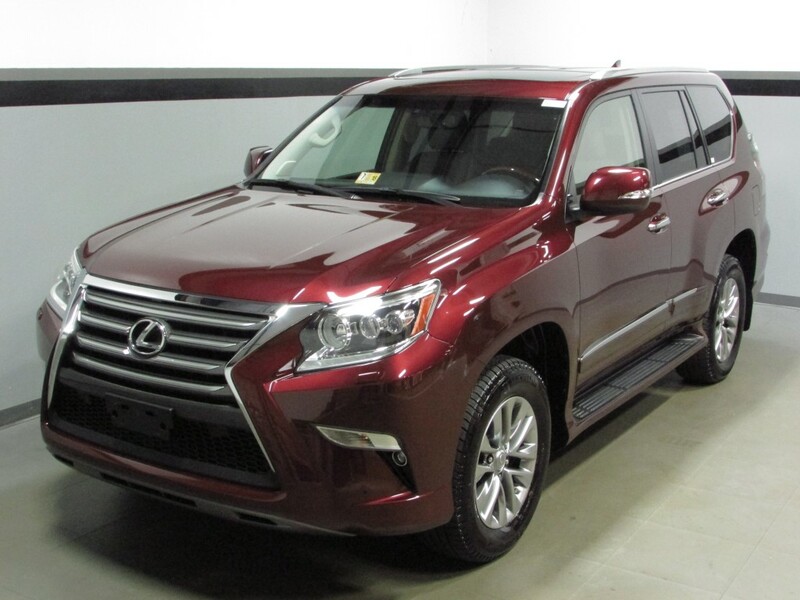 Lexus of Richmond’s Pre Owned Vehicle of the Week is this 2016 Lexus GX 460. Don’t let this stunning Claret Mica GX pass you by! With it’s 4.6 liter V8 engine and 301 HP horsepower, you will love this like brand new vehicle with under 9,000 miles. As the driver, you will enjoy all the top of the line features. First and foremost; the Mark Levinson Premium Surround Sound with 17 speakers and 330 watts will blow you away. With luxury features from the heated steering wheel to the heated and ventilated front seats and the heated middle row outboard seats, everyone will revel in long drives. Other great features include: blind spot monitor, intuitive parking assist, rain sensing wipers, semi-aniline leather seats, a navigation system, and the back-up camera. 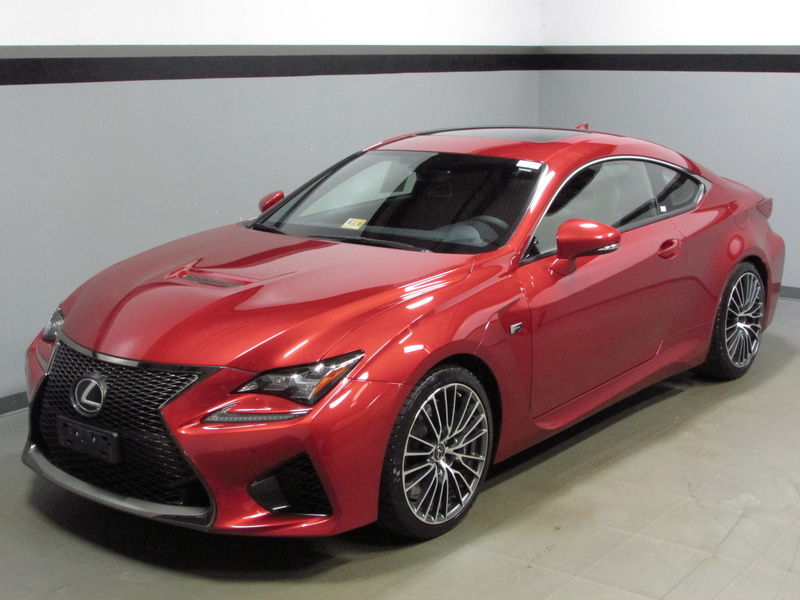 Lexus of Richmond’s Pre Owned Vehicle of the Week is this 2015 Lexus RC F.
Infrared never looked so good! This RC F is everything you’ve ever dreamed of with it’s 5 liter V8 engine and 467 hp horsepower. Once seated inside, you find the navigation system, backup camera and Mark Levinson Audio equipped with 5.1 surround sound, 17 speakers and 835 watts. Safety features include; blind spot monitor, rear cross traffic alert and parking assist. The exterior features LED headlamps, in-mirror turn signals, remote window operation. Other convenience options include; heated and ventilated seats, rain sensing wipers, and heated driver and passenger mirror. 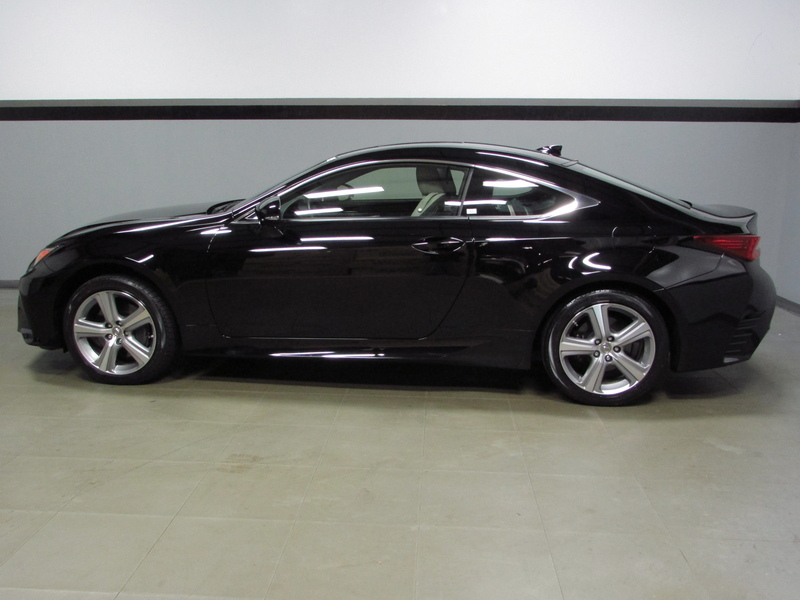 Lexus of Richmond’s Pre Owned Vehicle of the Week is this 2015 Lexus RC 350. This Obsidian beauty will constantly bring a smile to your face. As an all wheel drive vehicle with 306 horsepower and 3.5 liter V6 engine, it is an absolute joy to drive. Inside you’ll find and love the navigation system, back-up camera with dynamic grid lines, as well as the heated and ventilated front seats. This coupe features and moonroof, heated side mirrors, and blind spot monitor with rear cross traffic alert. Other features include; remote window operation, front video location monitor, and gear shift controls on steering wheel. 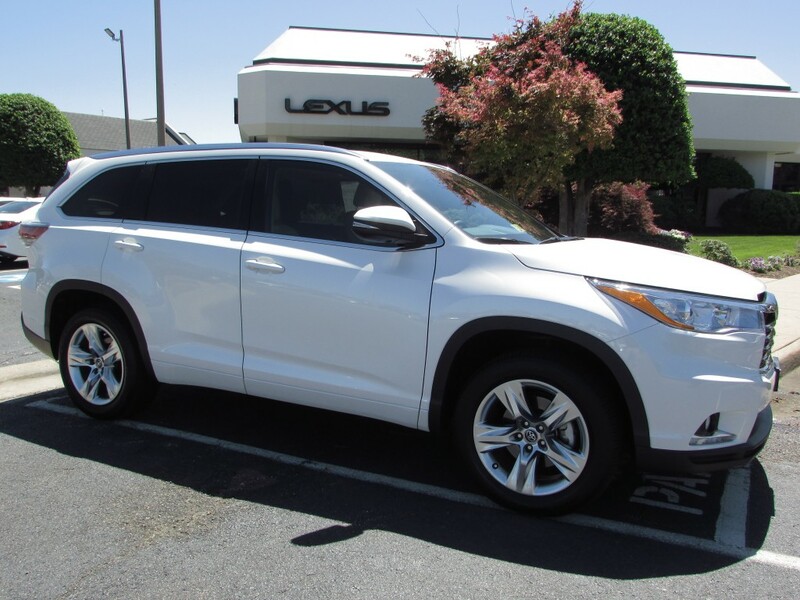 Lexus of Richmond’s Pre Owned Vehicle of the Week is this 2016 Toyota Highlander. If you’re looking for an SUV with all the safety and entertainment features, look no further. With under 12,000 miles this like new Highlander is sure to meet all your needs with it’s front-wheel drive, 3.5 liter V6 engine and 270 horsepower. Inside you’ll love the 8″ touchscreen with navigation, radio, bluetooth phone/music and usb audio capabilities. The front bucket seats are heated and ventilated with perforated leather. 3 zone auto climate control, mirror signals, reclining rear seats, tilt and telescoping steering wheel, and much more all come together to make for your perfect next vehicle. 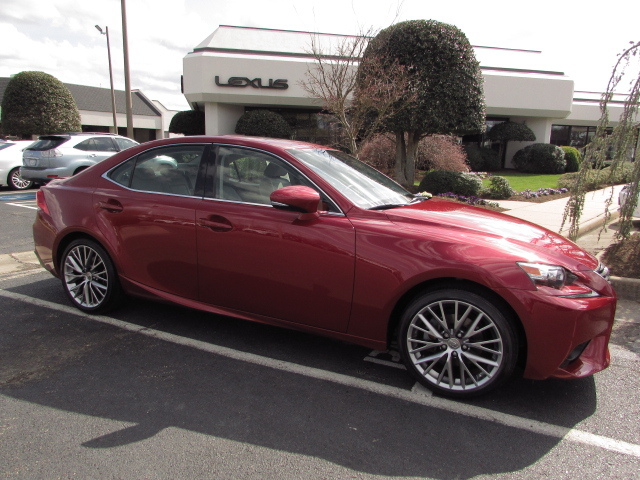 Lexus of Richmond’s Pre Owned Vehicle of the Week is this 2015 Lexus IS 250. 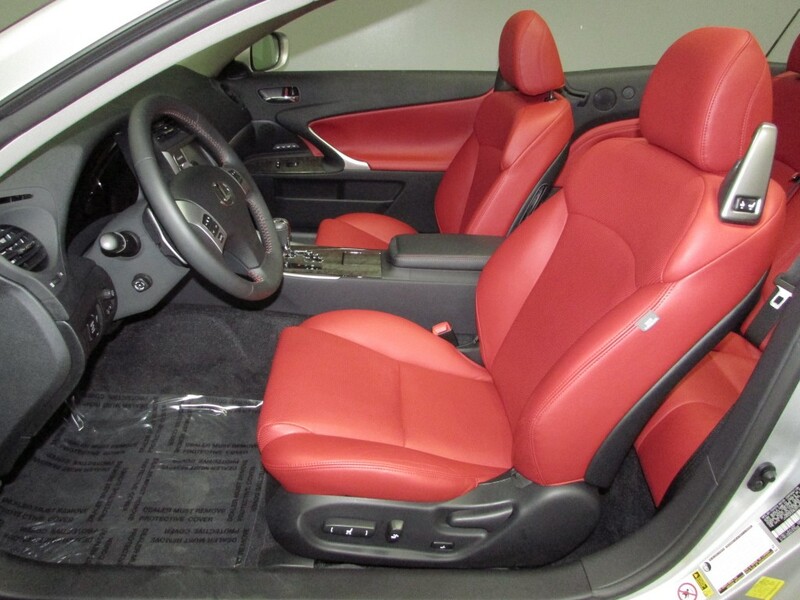 This Matador Red IS will surely turn heads! You’ll be thrilled with this all wheel drive vehicle with under 21,000 miles, 204 horsepower and a 2.5 liter V6 engine. The IS has a highway mpg of 27 and city mpg of 20. The vehicle is equipped with a navigation system, back up camera with gridlines and a blind spot monitor with rear-cross traffic alert. 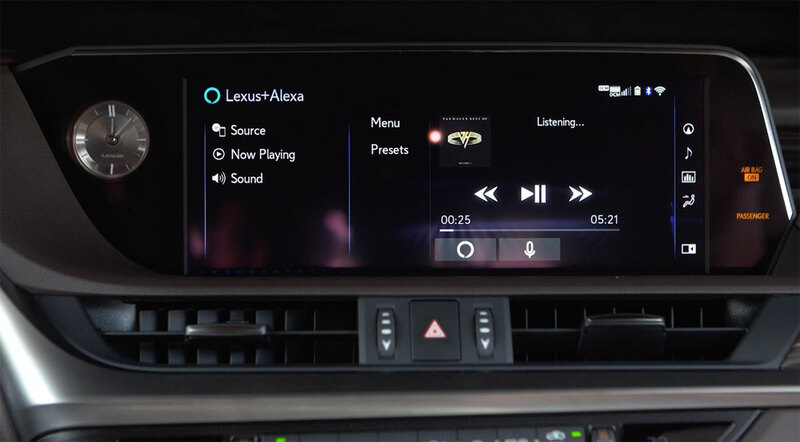 Other features include bluetooth capabilities, Lexus Premium Audio, heated and ventilated seats, and rain sensing wipers.